According to the perception of those who are planning to buy used cars for their homemade electric car project, the vehicle with lower kilometers on odometer gives better performance. They never consider the cars which may be handled with care if those cars have traveled long miles. Sometimes these cars have perfectly functioning engines than those with fewer miles on odometer. It is high time to realize the fact that vehicles with low mileage are not advisable to purchase. The warranty provided by the car dealers may get expired in a couple of months as it is not a new car with full warranty. Despite of the assurance that the car is fully functioning, there are chances of maintenance and this will lead to extra expenditure. The sellers can be dishonest. 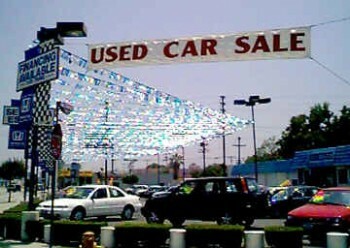 Due to the little usage or extended storage of these used cars, they may be suffering from critical problems. When it is said that low mileage cars have issues it is due to the following reasons. Engines of the cars which are used for short trips say from home to church or nearby shop, do not warm up completely. As a result improper condensation of water in crankcase occurs from the humidity outside and it touches the frozen engine metal in the case of cars in northern states of US. When the journey is to a fewer miles, the engine and oil are never completely warmed up due to which the water particles or moisture in oil do not properly evaporate. This result in improper lubrication of engines. In frigid cold conditions, starting an engine is quiet a difficult job. This frozen climate can lead to the wear and tear of engine because it is not warmed even by an electric plug in block heater. When car is used for short trips, owners may think that there isn’t much need of oil changes or maintenance. This is not the right way. If the owners fail to do that, oil in crankcase gets thicker during winter and thinner during summer. In both cases it is harmful to the engine. This is due to the high viscosity of the oil. Another major demerit of buying used cars is that the uncertainty in repair bill and if dealer has worked the vehicle to make it attractive for the test drive. Less usage of cars can cause deterioration of its components. Rubber of the tires and seals of door frames is an example. Hence replacements of tubes have to be done. Overall cost for all these can be considered as an extra expenditure. When the car is left out in sun, have a thorough look at the paint and polish of the vehicle. That will help you decide if the car needs a repaint. Purchasing a used car can cause wastage of your money if you are unaware of the market value of car and the dealership details of various dealers. Always perform a research on car online before you go and see the car. Save your time and money by acting wisely. Before you start inspecting car from interior, check the odors and smell, it is very difficult to remove the bad odors, you must ensure that the smell does not stop you from buying it as you will have to live with it. You must have a complete look at the interior of the car, chances are that if the car is well maintained from inside, it means that the owner has taken good care of the car. You must see any stains or damage to the upholstery, leather and the carpet. Just check the condition of the pedal rubber, all the mechanical control should be in working conditions including the air-conditioning of the car.